Dublin band Keywest at Vicar Street. They’ve come a long way, in fairness. 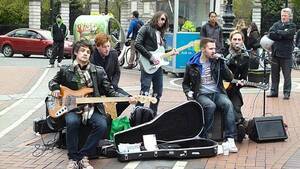 Keywest have been gigging on Grafton Street for ages. Sold out Vicar Street on Saturday night. 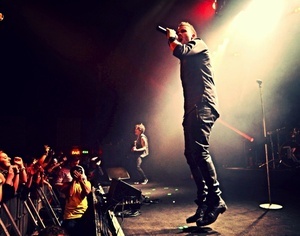 Very down to earth (even though singer is levitating in the pic, top). Bras were thrown. Posted in Misc and tagged Keywest at 8:53 am on October 21, 2013 by Ewok.